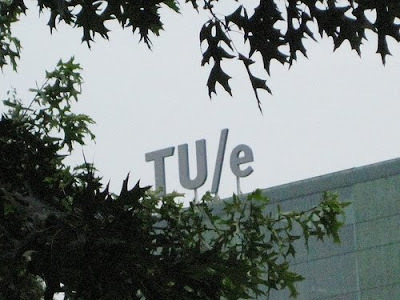 The Eindhoven University of Technology (in Dutch: Technische Universiteit Eindhoven or TU/e, and formerly Technische Hogeschool Eindhoven or THE) is a university of technology located in Eindhoven, the Netherlands. The motto of the university is: Mens agitat molem (The mind moves matter). It was founded as the Technische Hogeschool Eindhoven (THE) on June 15, 1956 by the Dutch government. 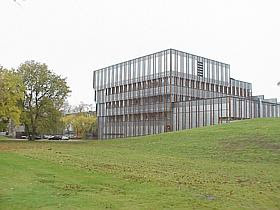 It was the second institute of its kind in the Netherlands, preceded only by the Delft University of Technology. 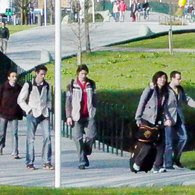 It is located on its own campus in the center of Eindhoven, just north of the central station. It is currently home to about 240 professors, 7200 students, 250 PDEng-students, 600 Ph.D. students, 200 post-doc students and 3000 regular employees. It also supports about 100 student associations and 15 alumni associations. Yearly, the Eindhoven University of Technology produces almost 3000 scientific publications, 140 PhD-awards, and 40 patents. 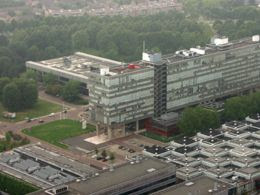 The Eindhoven University of Technology is main participant in the technological top institutes DPI and NIMR. One of the former students of the university is Gerard Kleisterlee, the current CEO of Philips. The university is located in an area where several companies active in technology are doing their research, like Philips, ASML and DAF. The university maintains close contacts with most of these companies. As of April 29, 2005, Prof.dr.ir. C.J. van Duijn has the position of rector magnificus. In 2006, the University celebrated its 50th birthday. In a 2003 European Commission report , TU/e was ranked as 3rd among European research universities (after Cambridge and Oxford, at equality with TU Munich), based on the impact of its scientific research. In 'The Times Higher Education Supplement World University Ranking 2005'. it was ranked 74th among world universities, and 67th in 2006; making it the country's top university. The university operates several international cooperations with other universities all over the world, among which one is the Brain Bridge with Zhejiang University, PRC. There have been many changes since it was established in 1956 as a Technische Hogeschool (Technical College). The university now has 9 departments and provides 11 Bachelor’s degree programs, 1 special Bachelor's program, 20 Master’s degree programs, 6 special Master’s programs, 4 educational Master's programs (mathematics, physics, chemistry and computer science), 8 post-doctoral programs for technological designers (Professional Doctorate in Engineering, PDEng) and various post-doctoral courses and programs (Doctor of Philosophy, PhD). In 2007 the TU/e has around 3000 employees, 240 professors, 7100 students, 190 PDEng students, 640 PhD students, 25,000 graduate engineers, 1200 graduate technological designers and 2300 PhDs. There are some 100 students’ associations (social, sports, cultural and study-related) and 15 associations for graduates. The TU/e has established a partnership with the Delft University of Technology and the University of Twente in the form of a Federation of Universities of Technology in the Netherlands which is at present being established. These three universities of technology are an important knowledge partner for industry and government in the field of advanced technology. They have an excellent scientific starting point among the top 20 European universities – with TU/e holding the number three position – and have a strong focus on the development and commercial application of knowledge. This partnership will be intensified in the coming years, and will initially promote the flow of students between the three universities from the bachelor’s to the Master’s programs. Together they will form the 3TU Graduate School in the field of Master’s programs, the Institute of Science and Technology in the field of research, and the 3TU Innovation Lab in the field of commercialization of knowledge. The TU/e is the commissioner of ten research schools recognized by the Royal Netherlands Academy of Arts and Sciences, as well as two of the six top research schools in the Netherlands and one of the four top technological institutes. The TU/e forms part of the European CESAER, Santander and CLUSTER university networks, and has partnerships with universities around the world.